Need to key-in bearings? Here is a little known trick that makes this easier. (Settings > Design File > Angle Readout). 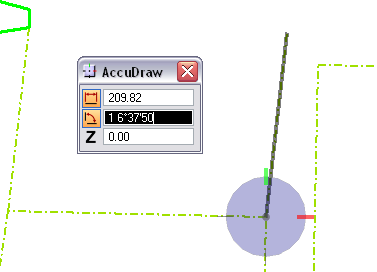 (Settings > AccuDraw > Operation tab). We just went from 12 keystrokes to 9. While this does not seem to be a huge difference, it does make this task 25% more efficient and eliminates cumbersome key-strokes. We know your supervisor will appreciate the productivity boost!